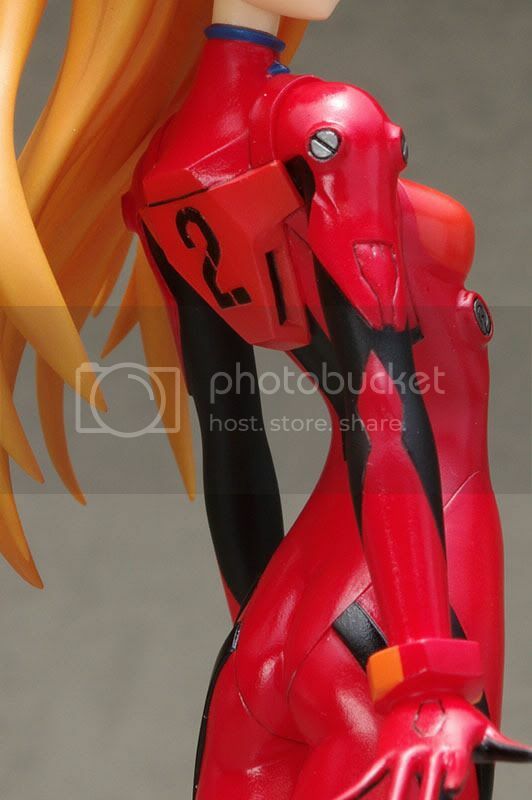 Multiseven et Cetera: Preview: Wave's 1/10 Shikinami Asuka Langley Plugsuit ver. 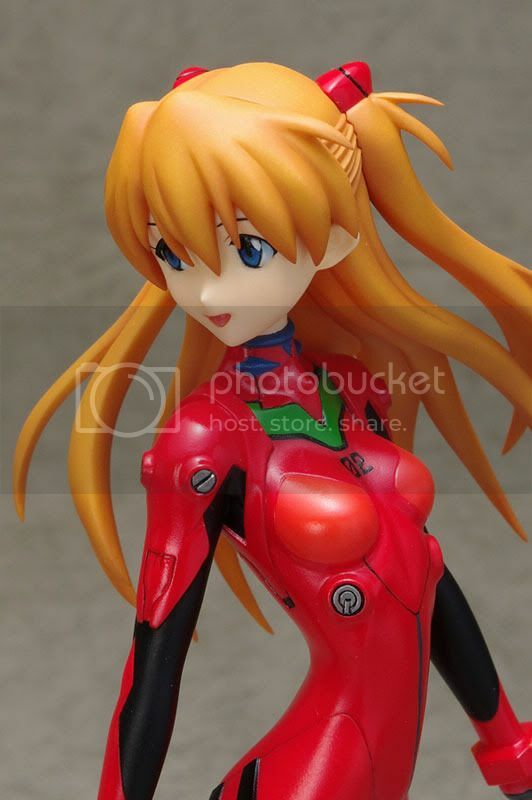 Preview: Wave's 1/10 Shikinami Asuka Langley Plugsuit ver. 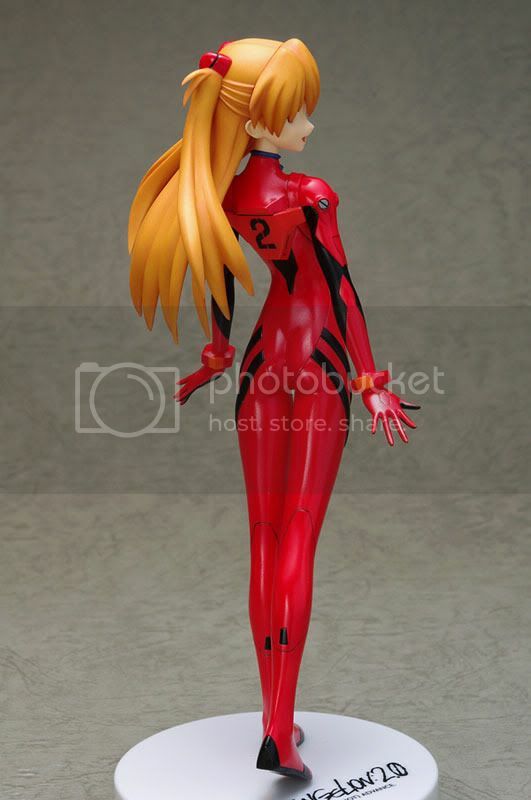 Wave Corporation is going to release the Shikinami Asuka Langley Plugsuit version 1/10 PVC figure from the official Evangelion movie, Evangelion 2.0: You can (not) Advance. 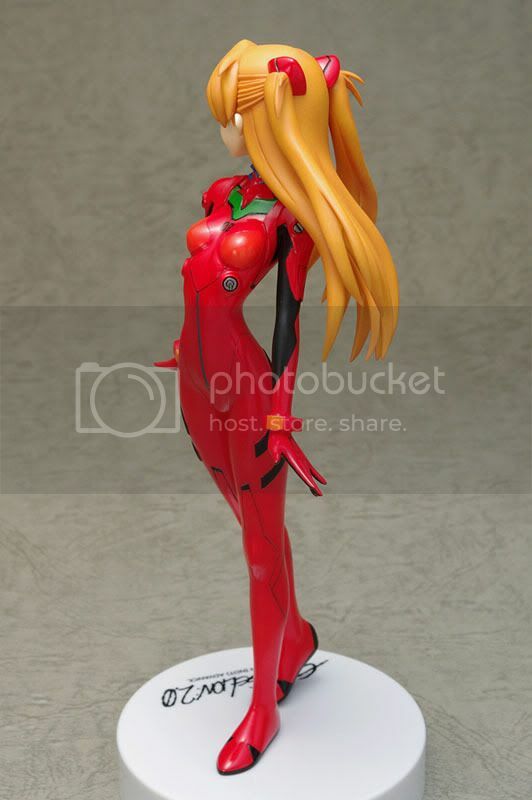 This figure is approximately 160mm in height and will be released in April 2011 around 4,400 yen. 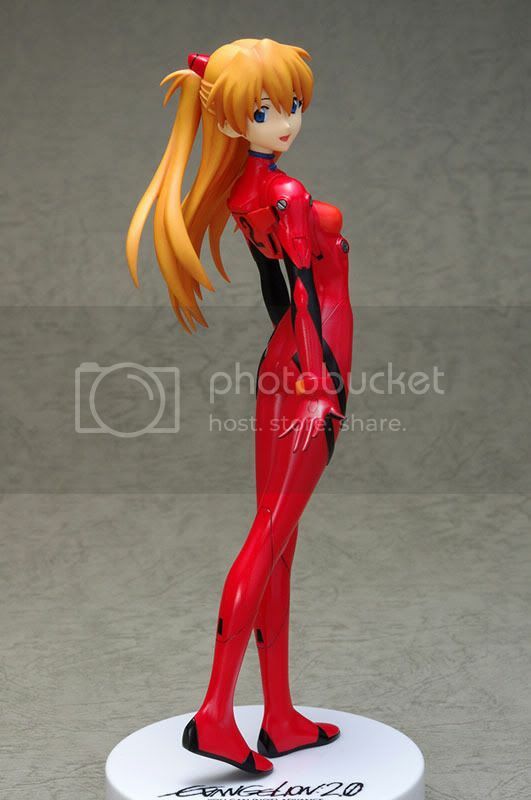 Asuka appeared in her redesigned plugsuit in the Eva movies! But she looks so flat doesn't it? Well, that's just how I thought when comparing her with the last Test-Plugsuit version from Wave. 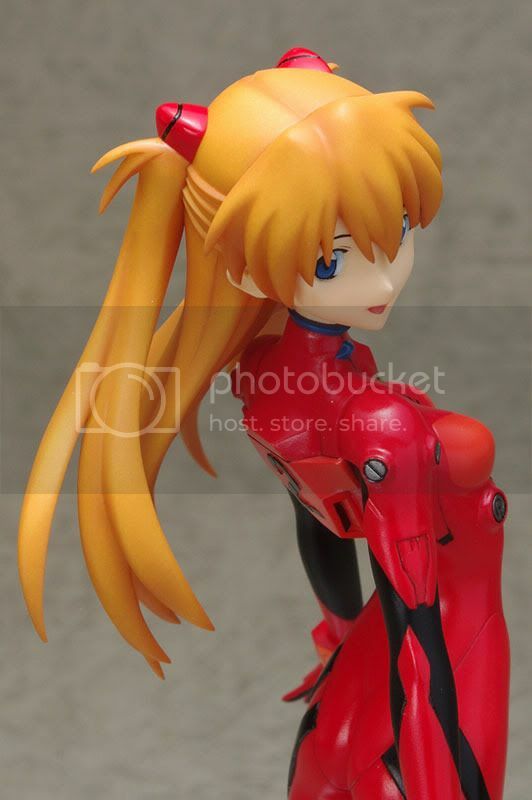 But this figure still might be a perfect addition for you in completing Wave's Eva figure series. As usual, the figure supported H-Joint system on the neck, so you can change the direction she is looking or even swap her head with the heads of the other figures in the series! 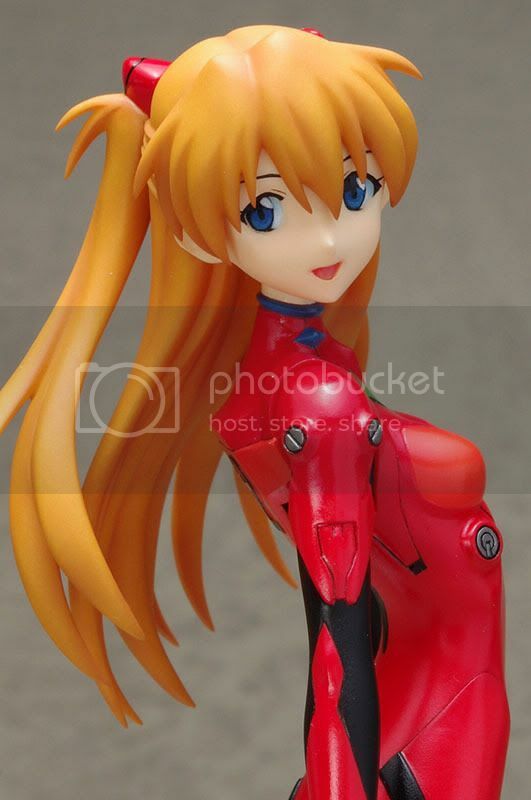 This Asuka figure will be released under the Wave's Treasure Figure Collection series.